If you’re going to part with your pocket change every week, might as well make it count. 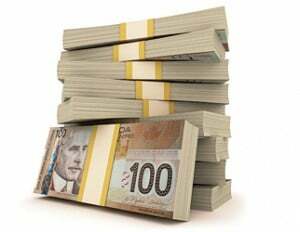 We’ve compiled a list of Canadian lotteries and scratch tickets with the best odds of striking it rich. Don’t be fooled by the multi-million jackpots advertised by the two big national lotteries. Your chances of winning are slim—roughly 1 in 14 million for Lotto 6/49 and 1 in 28.6 million for Lotto Max. National lotteries also draw more players meaning winners often end up splitting the prize money several ways. Now we’re not saying don’t play the lottery. Chances are you won’t win but spending no more than $5 a week is unlikely to blow your budget and a winning ticket could really improve your quality of life. So, if you’re resolved to part with your spare change, you’ll want to spend it wisely. “Our dreams are important, but play within your means, play as a group and always put it on paper,” Wallace, says. For more play safe tips visit responsiblegambling.org. To help you get the most bang for your lotto ticket buck, MoneySense has updated its list of lotteries and scratch tickets that offer the best chance at winning $100,000 or more. As a rule of thumb, provincial lotteries are your best bet and you won’t have to slice and dice the winnings with as many people. The one lottery that stands out from the crowd is Quebec’s Banco Special. Your chances of winning a $1-million windfall in the game are 1 in 4.8 million—far better than any other lottery in its class. Ontario’s Rock Paper Scissors had similar odds but the OLG canned the game as of Oct. 24, 2012. Another noteworthy contender, Western Pay Day lottery where the odds of winning $675,000, or $1,000 a week for life, are 1 in 1.4 million, is also being phased out. And in case you were wondering, McDonald’s Monopoly Game is one of the worst “lotteries” going. Your chances of winning big with the fast-food chain are even worse than at the big national lotteries. Just how poor are the odds at McDonald’s? Let’s just say your odds of winning a $1 million collecting Park Place and Boardwalk game pieces are 1 in 307 million. Suddenly Lotto Max doesn’t look so bad. BC 49 $2,000,000 13983816 B.C. Poker Lotto BC $100,000 2598960 B.C. Keno BC $100,000 8911712 B.C.